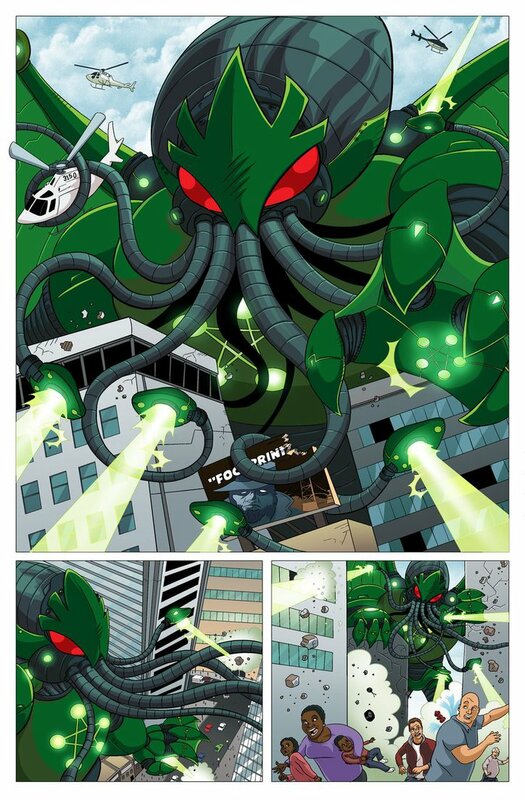 As you may know, there’s a whole lot that goes into making a comic book. 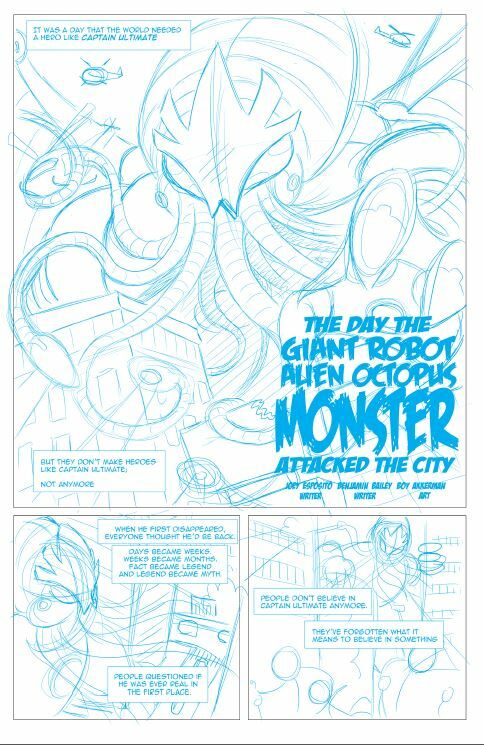 From concept to script to pencils to inks to colors to letters to your eyeballs, the process is long and collaborative. But most of all: it’s the most rewarding thing on this planet or any other! And then Boy takes it and makes it look awesome! You’ll notice that he changed our panel suggestions around to make them better! He also puts in some placeholder letters to help out his composition of the page. 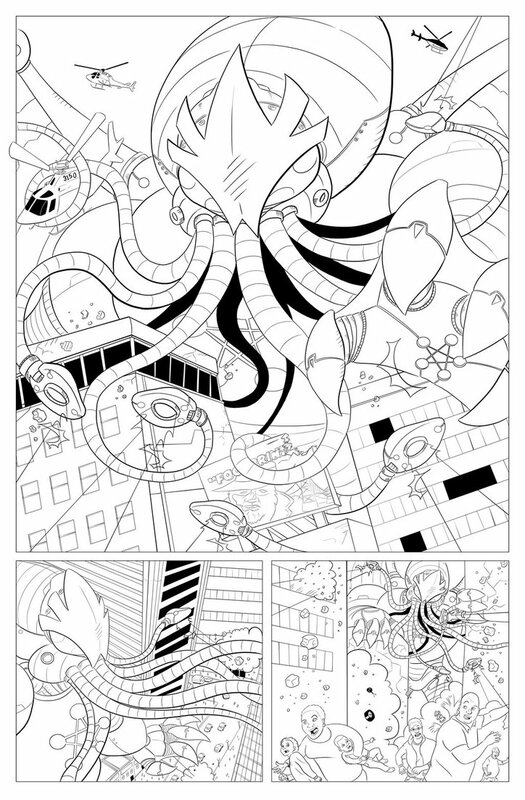 And then Boy goes from rough pencils straight to inks, where the page starts to resemble the one you know and love! And then Ed comes in and makes this thing pop off the page! Step 4: Colors! Oh, the colors!! And last but certainly not least, Adam lays down the sweet, sweet words. Of course, there are edits made to make sure everything is perfect (or as perfect as it can get), but lettering is the final step! And there you go! 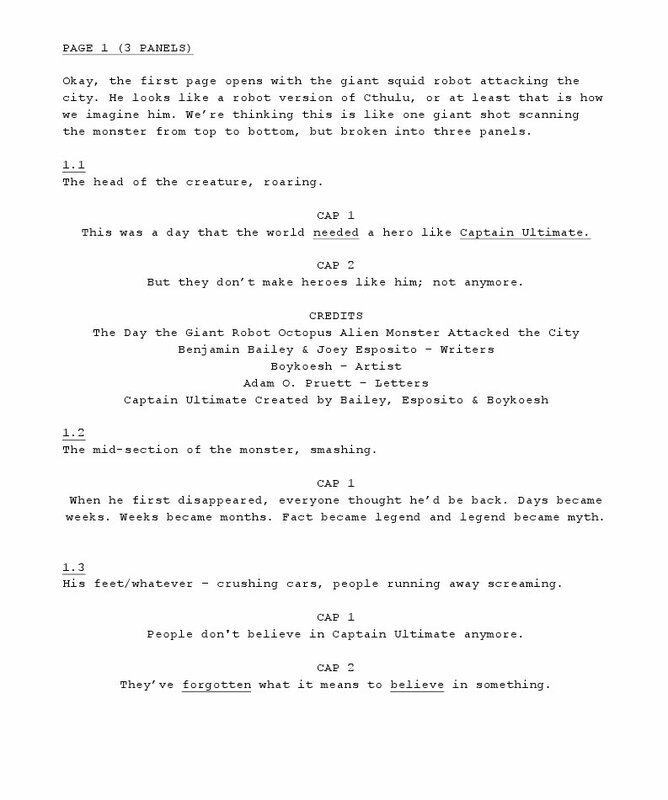 The first-ever page of Captain Ultimate is born! 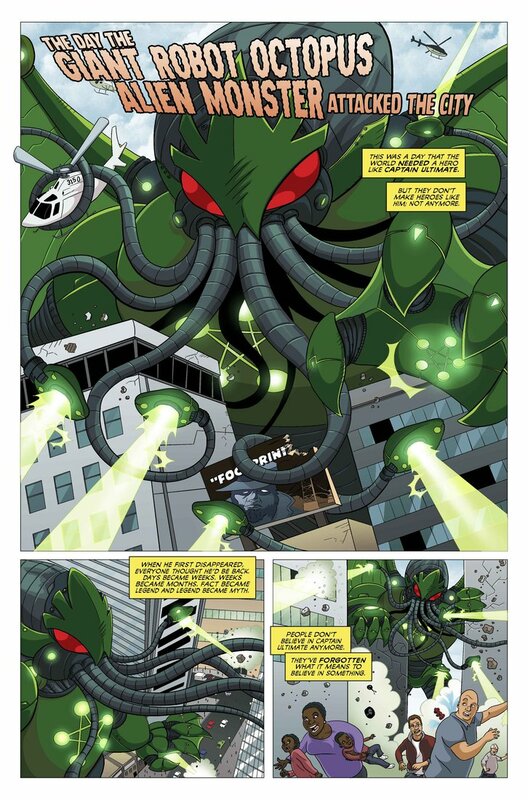 If you haven’t yet, you can buy it now on Comixology for only 99 cents!